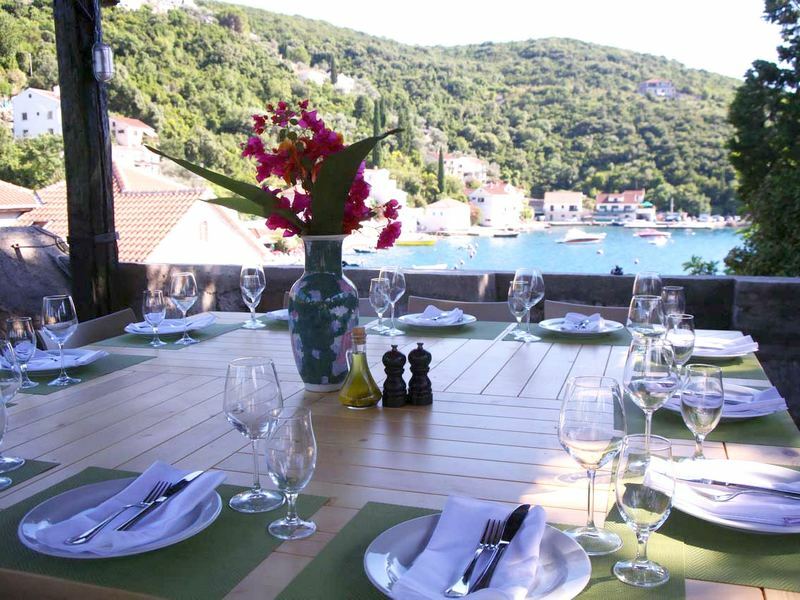 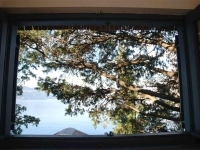 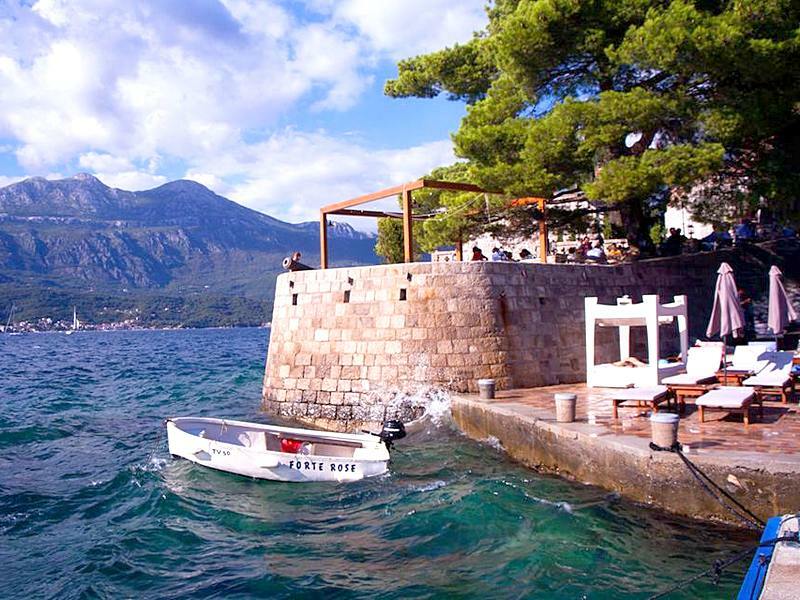 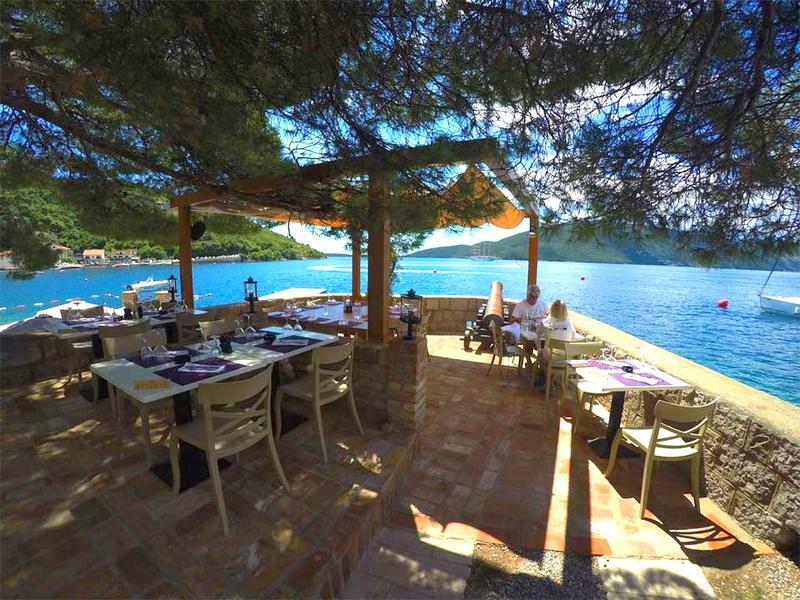 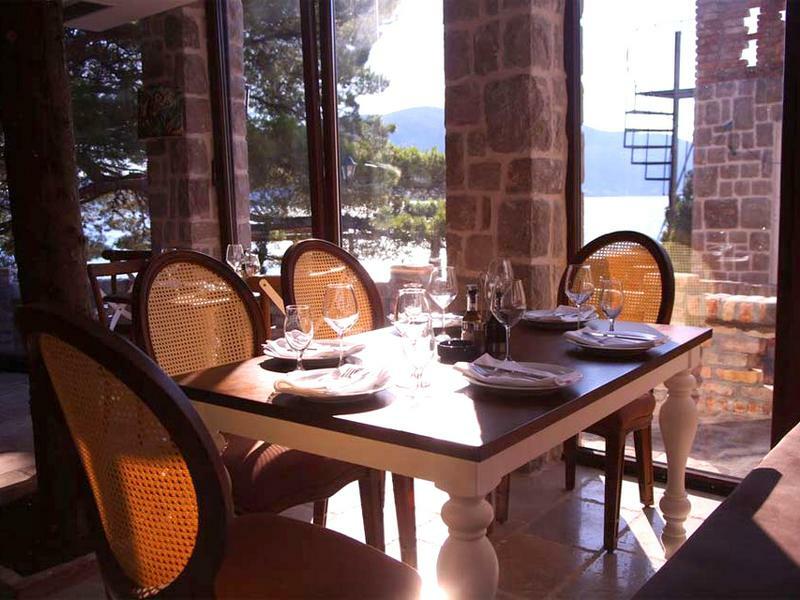 Hidden in a secluded location on the peninsula Lustica, opposite town of Herceg Novi, Forte Rose accommodation is situated directly on the sea in a small, peaceful Mediterranean village. 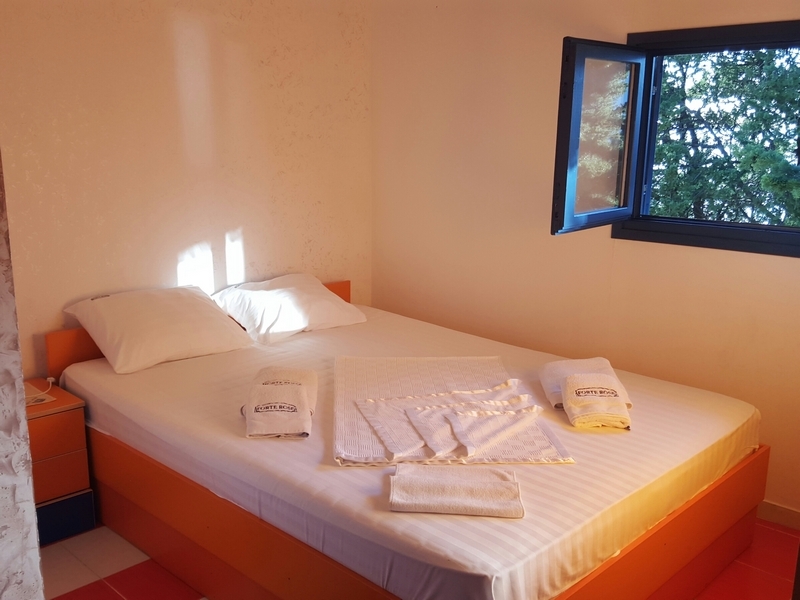 It is perfect solution for those who want to spend a special, relaxing holiday in a quiet, remote place away of commercial and busy resorts. 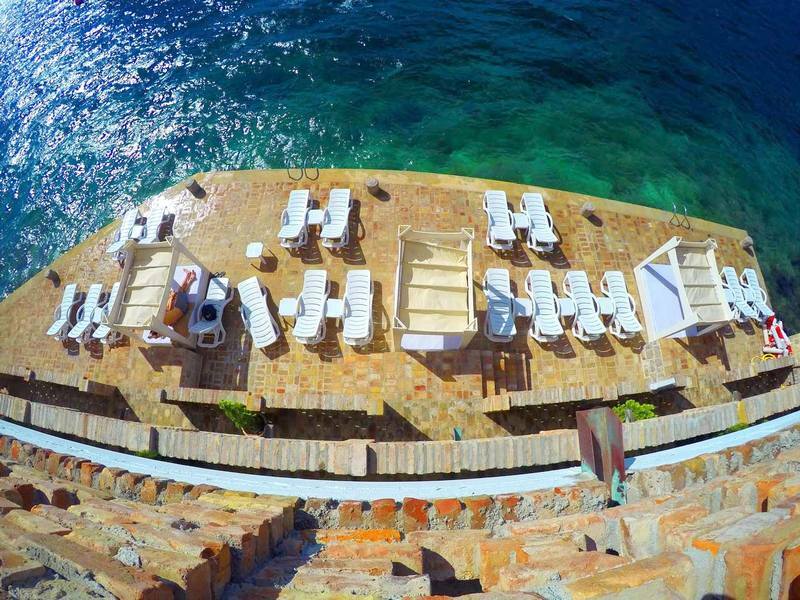 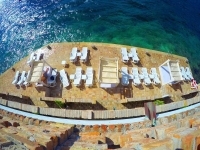 Former Austrian fortress is newly reconstructed and offers 3* accommodation in an amazing environment surrounded by lavish Mediterranean vegetation and olive trees just few steps from the crystal clear sea. 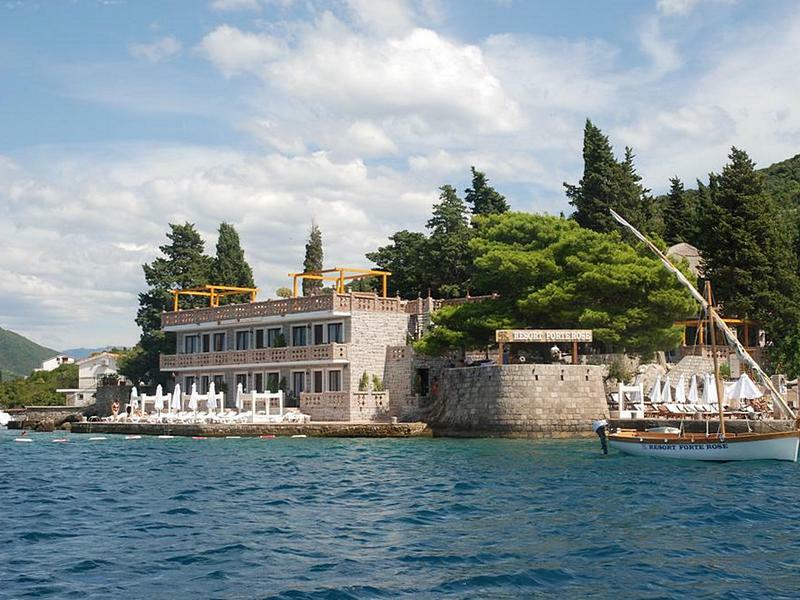 With its architecture with detached stone houses mostly built in 17th and 18th century lined along the pier, stone paved paths, oleanders and olive trees growths, this enchanting village reminds its visitors of ancient times when it was old Greek settlement. 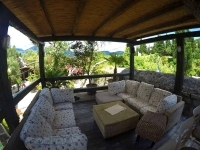 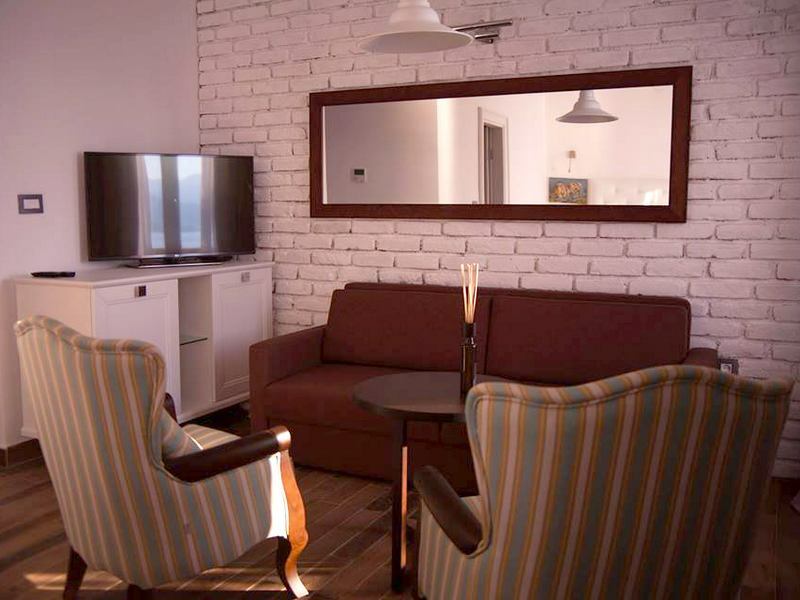 This house offers accommodation in double rooms and studio apartment. 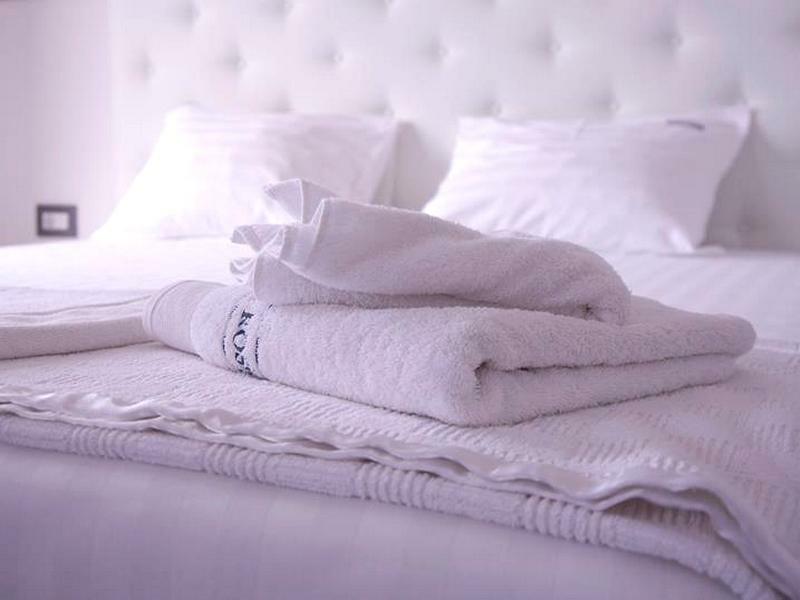 Some double rooms are equipped with an extra bed for a child. It features its own restaurant with spectacular views, roof top terrace, tavern, sundeck directly in front of the house, as well as the Forte Rose beach.